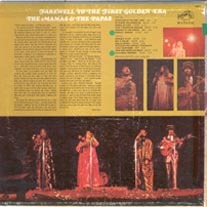 Below are the liner notes, photos, and cover art for Deliver and Farewell to the First Golden Era. Among the interesting revelations are the apparently abortive plans for a long rest and hiatus for the group mentioned under Golden Era. You are dominated and motivated by your intellectual interests. You are loyal, affectionate, sentimental rather than romantic, and can develop a great interest in domestic matters. But the lodestar of your life is the mind, its products, achievements, and possibilities. Your high sense of discrimination, amounting to an intellectual snobbery, protects you from getting involved with intellectual inferiors, for you have a very finicky taste in matters of people, dress, food and house furnishings and can be extremely critical when your sense of good taste is offended. This sense of discrimination keeps you pretty conventional for no matter how intellectual ideas may appeal to you on the radical and daring side, an innate dislike for offending society keeps you pretty much on the straight and narrow, and when human weakness gets the better of you and you simply have to step off the beaten track you do it with such infinite care and consideration for the feelings of society, that society probably doesn't even know about it. You are something of a moralist, but your morals sense is social rather than abstract. Your are a great preserver of law and order, and when you do arrive at the conclusion that things ought to be changed, you want to see them changed gradually according to the rules of the game. You are no fire-and-sword revolutionary. Peace is important to you; no principle is worth fighting for, except in a polite and well-bred way. This position generally accompanies a good deal of breeding and family background, whence the reverence for tradition. Your creations are marked by care, precision, and flawlessness, sound to the core, admirable in taste and execution. Nervous energy is your strength--and your weakness. Relaxation is your need. You have a philosophical mind, jumping from the particular to the general as if by second nature, and seeing things, people, problems, in large, rather than specific terms. The devotional motif is strong in your nature, and you tend to ritualistic acceptance of some religion, code, or basic set of beliefs to which you relate the threads of your philosophy and make a working ideology for you life. Your thought, though perhaps revolutionary, will be patterned and constructive, tending toward Utopias rather than to anarchy. The need fro classification is strong in you; you put things into pigeonholes and categories and organize your information. You are very sensitive and temperamental, capable of extremes of happiness and despair, all in the space of a few seconds. Harshness and unkindness distress and bewilder you, and you can be governed only through your affections and through reason, for despite your sensitive nature, you won't give in to unfairness, unkindness or illogical argument. You are a good deal of a reformer, believing the word should live on you principles, your codes, your moral standards. Thus preachers, lawyers, judges are often found here and being eloquent, logical , and persuasive, you are likely to achieve a good deal of influence. You love travel, and much of your nervous energy can be used up in physical motion. It is not at all unlikely that you will live and achieve your greatest success somewhere far removed from your birthplace. You are at home anywhere, settling down gypsy-like where night finds you. You are romantic, charming, alluring---and impressionable. You are idealistic, always looking for perfection in your sweethearts and in the world, and blissfully certain that even thou it may elude you, it's there and well be found eventually. You are more trusting than erring mankind deserves. You can be fooled by one person and, in the twinkling of an eye, trust someone else who may be even less trustworthy. You are attracted to out-of-the-way people---waifs and strays, down-and-outers, and can get yourself into a lot of trouble by believing in crooks, frauds, sensationalists and adventurers. You love speed and will drive a car, run and aeroplane or a speed a boat at breakneck pace. You are a gambler with safety as well as with finances and ideas and will stake your all on a scheme or plan the success of which you are convinced. You have marked personal magnetism. Opportunities open up to you readily. You have a somewhat mystical, spiritual, or religious nature---a degree of superstition, and a belief in you internal powers. This frequently accompanies belief in Christian Science, Unity, or cults that deal in mind power. It isn't a very important aspect in itself but it lends color to your personality and sharpens your aesthetic and artistic sense. You control people by charming them. A mildly hypnotic power of which you many not be conscious assists all human relationships. You rely a good deal on hunches, especially about people. If this aspect is accompanied by strong and reasonable mental tendencies. you may not even be conscious of its action, but rest assured it is responsible for the quickness of your insight, reasoning powers, and general mental astuteness. It eases the course of emotional matters somewhat; it is a passive rather than an active ally to accomplishment in all fields. You are full of vitality, good spirits, and fun. You are likely to waste your energies and your money in having a good time, for this is a happy-go-lucky position and adds a life an verve even to a pretty sober nature. You have a great deal of pride, but you are still genial and humane, and will gladly help people in distress, for a goodly amount of charity accompanies this aspect. You love food and drink and tend to overindulge. Your lavish with you expenditures not only of money, but of affection, passion, and friendship. This is a sort of Falstaffian position. You are markedly convivial the best of companions, but through flaunting the precepts of moderation, you can cause yourself a good deal of unhappiness. You are gracious an no doubt easy to look at. You are probably a social leader. You can make a little go a long way if you have to, but if you don't have to, your patrician taste can prove expensive in matters of dress, house furnishing, and personal adornments. You have had a high temper in you day, and if you've controlled it the credit goes to your good sense. You are rebellious, headstrong, abrupt in speech, quick on the draw---a sot of hair-trigger person---full of fire and dash that need the control of a vigorous intellect. You are ardent in you loves, idealistic and impulsive and capable of deep loyalties through which, however, you can see the faults of the beloved---and say so in no uncertain terms. Tact is something you have to learn, for your uncomporomising truthfulness and honesty make tact seem wasted time to you. You are sensitive of the feelings of others, and once your high-spiritedness is reined you are the most sympathetic and understanding of friends. MUSICIANS INCLUDE: Hal Blaine, Drums & Percussion; Larry Knechtel, Keyboard instruments; Jim Horn, Flute and Saxophone; Joe Osborne, Bass; "Doctor" Eric Hord, Guitar; P. F. Sloan, Guitar; Gary Coleman, Percussion, Bells & Mirimba; John Phillips, Guitar. DUNHILL RECORDS INC./NEW YORK-BEVERLY HILLS/A SUBSIDIARY OF ABC RECORDS, INC. 1330 AVENUE OF THE AMERICAS, N.Y./MADE IN THE U.S.A.
"All the leaves are brown...and the sky is gray..."
...The opening words of "California Dreamin�" speak of a Summer past and it�s sad that the high Summer of the wonderful Mamas and Papas is over; it�s melancholy that we may not see them again for a long time. Michelle and John, Cass and Denny are leaving America soon and will pass through London on their way to the Islands which punctuate the Mediterranean and Aegean Seas where they will seek to rediscover the unity, the sense of fun and the inner-strength which took them from a cheerful valley of poverty and struggle to the broad, sunlit uplands of fame and success, of world -wide recognition and widespread acceptance as incomparable contemporary minstrels. It was in the Virgin Islands, sunworshipping and lazing around in the early 1960�s that the four of them planned how it would be when someone gave them the key to unlock the musical treasure chest which, their experience and instinct told them, they surely possessed. The key came in Los Angeles from Lou Adler, the producer who recalls being introduced to them by Barry McGuire and who, when he first saw them, couldn�t believe his eyes and who the, when he heard them sing, couldn�t believe his ears. Nor, could any of use believe our eyes and ears, forit seemed too much of a bonus in 1965, that exciting bountiful year, to realize that on top al all the other musical adventures and explosions were the Mamas and papas. 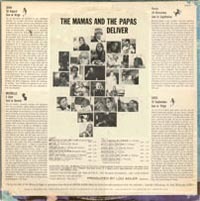 Looking back from now, it�s unbelievable that in pop-terms there was ever a time when there wasn�t a Mamas and Papas. The group feel that by leaving America for a time and by traveling through Europe---and who knows how far beyond---together, the four of them will be able to find each other again. By remaining a unit and yet by separating themselves from familiar environments, they feel they may---now being now and then being then---rather than recapture the old magic, fall into a new alchemy. It�s impossible to accept that we will no again enjoy the lovely line-up--honest, happy, hippy Cass in an enormous dress, billowing, feathering and soft-shoeing across the stage in her boots...lovely Michelle enraptured by John, her lean and long husband, group leader and composer of the music. And Denny with the cheerful, hooded, wicked eyes, owner of that light baritone---or maybe tenor, depending on your ear for pitch---which has threaded its way through so many songs. While they�re away, we will miss them. Through "California Dreamin�" to "Monday, Monday," "Words of Love," "Look Through My Window," "I Saw Her Again Last Night," "Dedicated to the One I Love," "Creeque Alley" to"Twelve-Thirty," (the story of the journey from the streets of New York to the California canyons---a record which went into the top ten) through the marvelous Monterey International Pop Festival, through countless magazine articles, numberless television appearances and through a continuing involvement in the local Los Angeles "scene," we have grown to prize them highly and love them dearly. 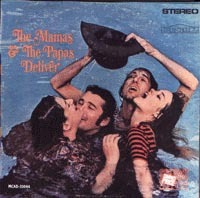 It is two years since "California Dreamin�" became a reality and The Mamas and Papas, owners of a brand new recording studio built in the Bel Air home of John and Michelle---a home once owned by Jeanette MacDonald---and their is no reason, beyond sentiment, to mention it---were to have recorder their fourth album of original songs. Three album songs were already finished, but they have found they can no longer carry on without the search for peace and new artistic expressions as a group. Eras are only eras; they are not the end of time.